Come at our booth #1,249 from January 24-26 to take a look at our innovative solutions! 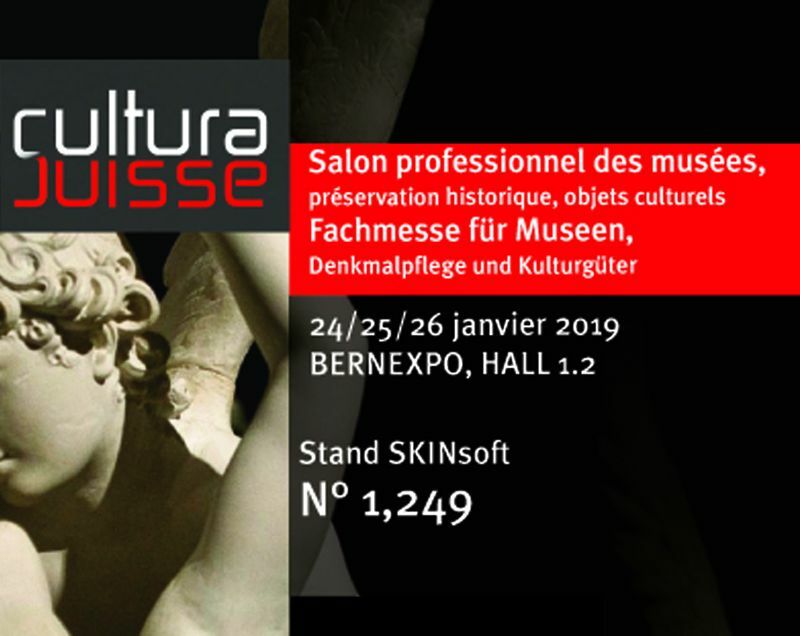 SKINsoft will be in Switzerland for participating in the very first edition of CULTURA SUISSE, which will take place in Bern from January 24-26. Museums, private companies, exhibition spaces, cultural foundations, archives centers... All are welcome to stop by! Our team will be happy to present our innovative solutions during a live demonstration.